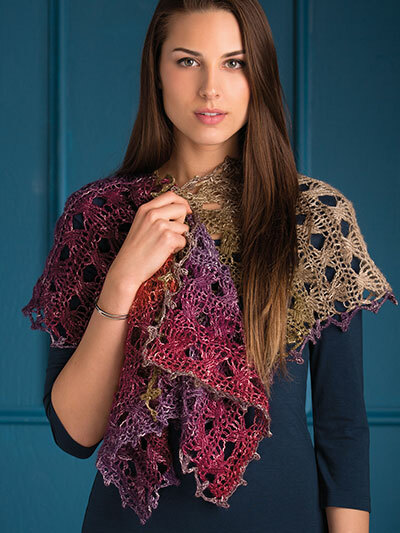 Crocheted with a slow color-changing ombre yarn, this dramatic shawl is just the right weight for cooler summer evenings. 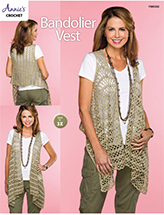 Crossed stitches give the shawl its lacy, cabled look. 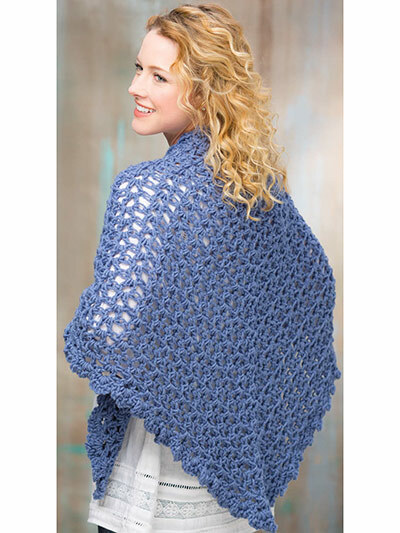 Design is made using Lion Brand Yarn Shawl in a Ball #4 worsted-weight yarn: 1 ball of #202 calming desert. Finished measurements: 18"W x 66"L.